My son came down with a nasty cold last week so we were stuck inside a bit more than normal. 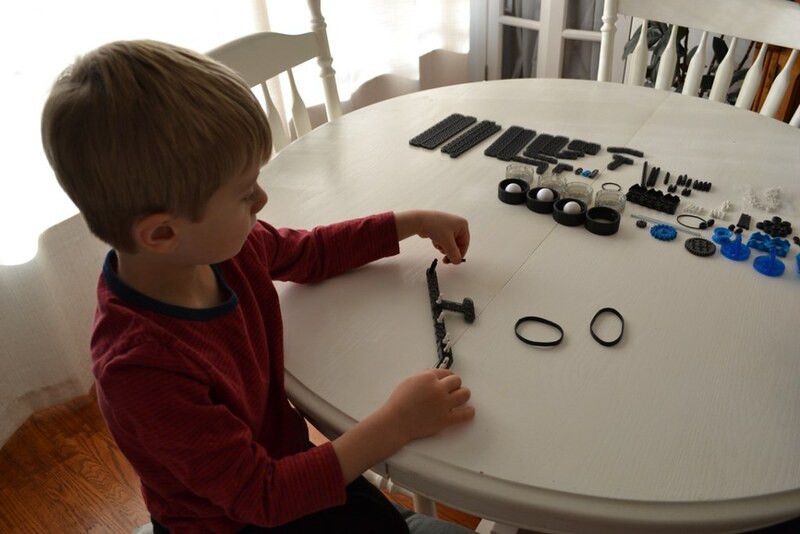 Luckily, we had this awesome HexBug Catapult to keep him busy. 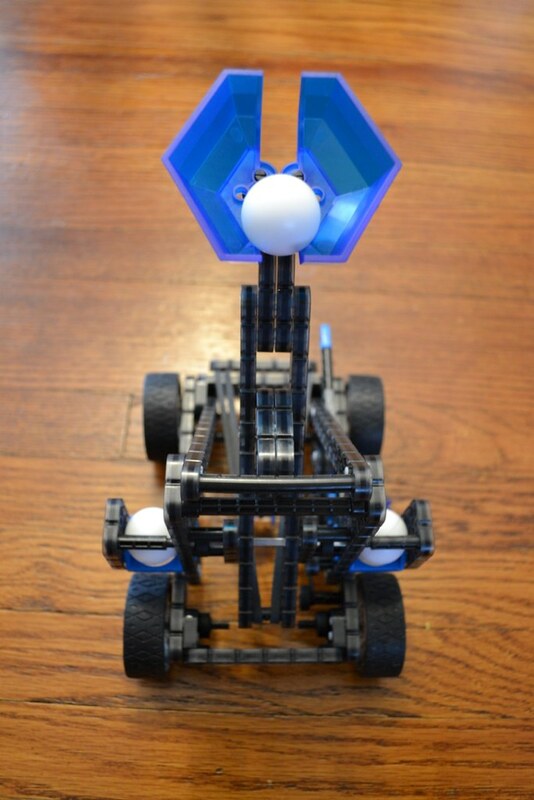 This really cool toy not only challenges the brain, but it’s also a totally functional robotics catapult. It came in handy at the perfect time. He was pretty excited when I took it out of the box. He and my husband got to work building it right away. 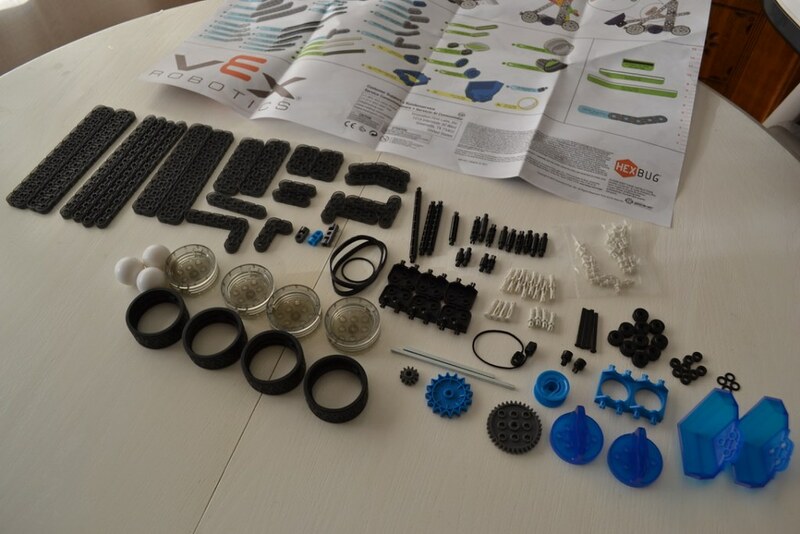 There are 100 pieces to use when constructing it! My son is only 4 years old so the building aspect was beyond what he was capable of alone at this point, but he still helped and loved learning. I know this will be a toy he’ll continue to use and can grow with it, eventually putting it together himself. Once it was together, there was no stopping those boys! They played with the catapult for the rest of the day. I don’t know who was more excited – my husband or son! They both love it. It comes with three balls, which you can catapult simultaneously. They also tried catapulting all sorts of random items. The other really cool part about this toy is that it can also be turned into a trike or race car. I can’t wait to see how much use my son gets out of the car. I just love the fun and educational aspect of this toy as well as the fact it can be used in three different ways. I know it will be a toy that grows with our family and is used in multiple ways. 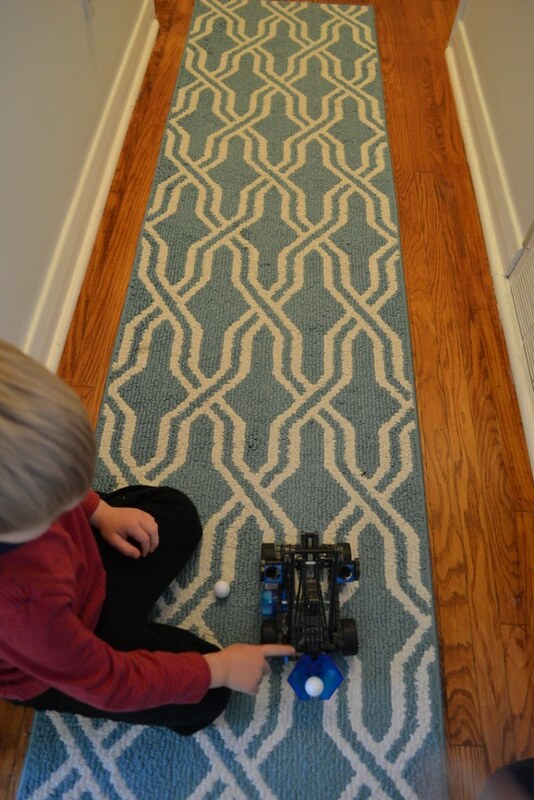 Next up on our HexBug creation list: a race car! The HexBug Catapult Kit is now on sale for just $19.99 on Amazon! Love that this is geared towards older kids….the ones who can be harder to shop for! Awesome toy!